When the Health Insurance Portability and Accountability Act (HIPAA) was updated by the Final Omnibus Rule in 2013, potential issues were raised about HIPAA compliant texting for doctors who used their personal mobile devices to send and receive electronic protected health information (ePHI). According to a recent survey, more than 80% of doctors use a Smartphone, laptop or tablet to send and receive patient data on a regular basis – accelerating communications within the healthcare industry, streamlining workflows and increasing efficiency. Yet the new HIPAA Security Rule doesn’t allow communication tools such as email and SMS for communication of patient data. If doctors and other medical professionals were no longer allowed to communicate patient data on their mobile devices, this would have had serious implications for the standard of healthcare received by patients; but fortunately, the issues surrounding how doctors can receive ePHI in compliance with HIPAA can be resolved with a secure text messaging solution from TigerConnect. Secure text messaging solutions comply with HIPAA by allowing doctors to access protected ePHI via a secure platform once they have authenticated their identity. 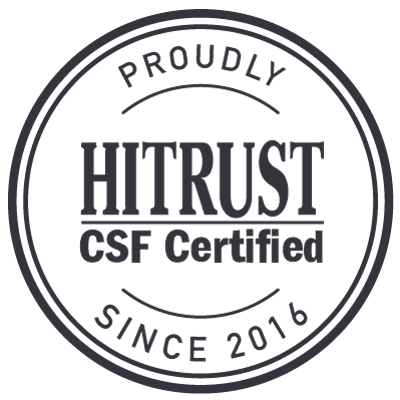 The platform has administrative controls to monitor usage of the text messaging solution and to ensure that communications are conducted in compliance with HIPAA. Doctors receive ePHI in compliance with HIPAA via a secure TigerText app which can be downloaded onto their mobile devices or desktop computer, and which will allow them access to messages or any received PHI such as x-ray images, test reports and other patient data sent from the patient´s EMR or directly from the radiologist, laboratory or other authorized source. The TigerText app has an interface that most doctors will be familiar with, as the process for sending and receiving ePHI is very similar to SMS. It incorporates similar features within the TigerText app for secure text messaging: allowing multiple parties to join discussion threads, doctors can collaborate with their colleagues on a patient´s healthcare in real time, even though they may be many miles apart. To ensure doctors receive ePHI in compliance with HIPAA, messages containing ePHI can only be transmitted within a private network which is usually defined by the organization´s corporate directory. Doctors are unable to save ePHI onto their mobile devices, copy and paste ePHI, or forward messages containing sensitive patient data to destinations outside of the network. Text messages sent via TigerConnect’s secure messaging platform have pre-determined message “lifespans”, so that they delete automatically after a set period of time; but, should a communication go astray – or a doctor´s mobile device is lost, stolen or otherwise disposed of – system administrators have the capability to remotely delete the communication or remotely wipe a doctor’s mobile device from the TigerConnect network to protect the integrity of any sent or received ePHI. Secure text messaging solutions are not designed simply so that doctors receive ePHI in compliance with HIPAA – there are plenty of scenarios in which their additional features streamline workflows and enhance efficiency to a level beyond what could be achieved with SMS and email. One of the key features of TigerConnect’s secure text messaging solution is its delivery notifications, which inform doctors that their messages have been received (or other medical personnel who send messages to doctors), and which eliminates the necessity for follow-up calls and phone tag. TigerConnect has recently released v4.0 of the secure text messaging solution which includes many practical features to improve HIPAA compliant texting for doctors; such as a delivery escalation function which channels delivery notifications through alternate channels of communication when a Wi-Fi or 3G signal is not available, and a “Do Not Disturb” feature, which works similar to an “Out of Office” message and can be customized to advise colleagues of alternative contacts when doctors are not available. Doctors attached to multiple medical facilities will also find the new inbox more convenient for receiving all their communications in one place so that they can prioritize their workflows. The San Joaquin General Hospital in California replaced their overhead paging system with a secure text messaging solution from TigerConnect in order to reduce noise levels and increase patient satisfaction; however, when staff started using the solution to provide patient updates to doctors, accountability and reliability improved from all staff, allowing physicians to spend more time with their patients and less time chasing down other staff. Eagle Hospital Physicians provides telemedicine physicians to 45 medical facilities across 17 states and implemented a secure text messaging solution from TigerConnect in order that doctors could receive ePHI in compliance with HIPAA “on the go” which would give them a fuller picture of the situation they were attending. In addition, the message confirmation feature allowed them to track responses and ensure messages were time-stamped in order that response times could be measured. The South Davis Community Hospital in Utah needed a solution for office-based nurses to communicate with the community doctors across multiple operating systems and devices. 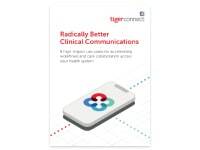 TigerConnect provided that solution, allowing both nurses and doctors to save time – no longer holding lengthy telephone conversations to discuss issues which could not be communicated by SMS or email for security reasons. 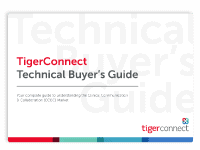 TigerConnect is the market leader in providing secure text messaging solutions for healthcare organizations and each month more than 150 million secure text messages are processed by our servers. If you would like to find out more about HIPAA compliant texting for doctors, please do not hesitate to get in touch for an informal discussion. 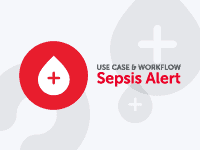 Alternatively, you are welcome to request a free demonstration of TigerConnect in action to see for yourself how doctors can receive ePHI in compliance with HIPAA and how our secure text messaging solution streamlines workflows and enhances efficiency.